A simple necklace with a colorful rainbow look! 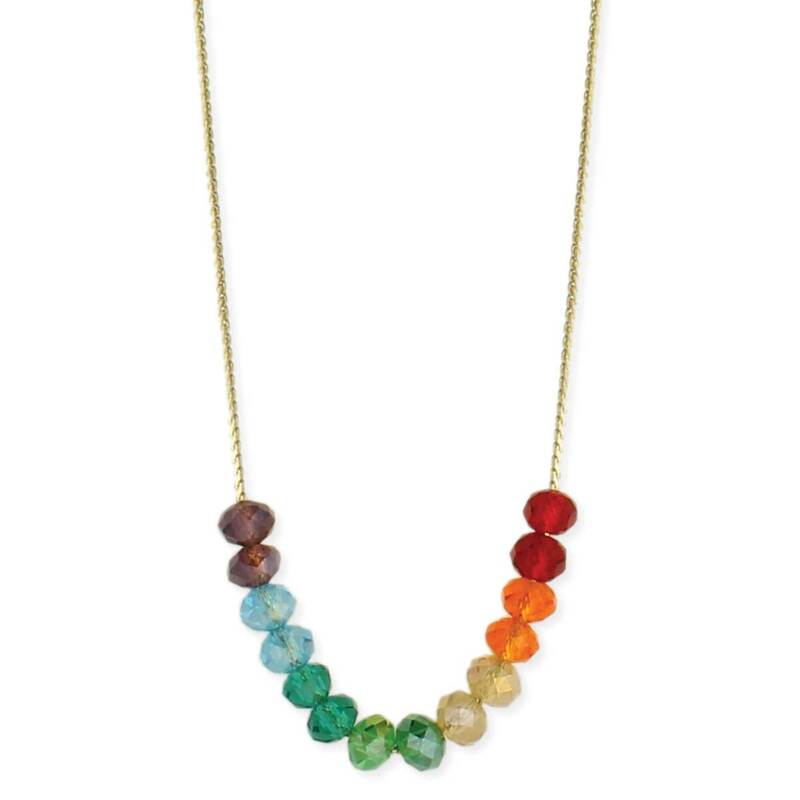 Thin gold chain holds a row of faceted glass beads in a row of rainbow colors. 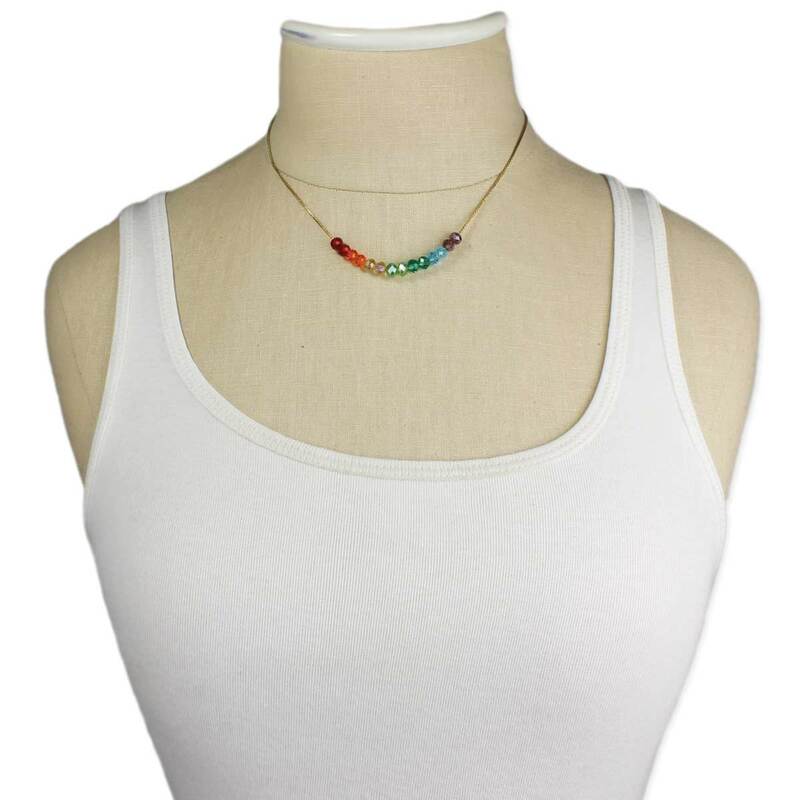 Wear this rainbow bead necklace to brighten up your day!